About MRNAT: Manav Rachna National Aptitude Test (MRNAT) is a National Level Entrance Test conducted by Manav Rachna University (MRU) for admission into various undergraduate and postgraduate courses such as Engineering, Arts, Science, Education, Commerce, and Law. About Manav Rachna University: Manav Rachna University (MRU) was established in the year 2004, under MREI (Manav Rachna Education Institutions), in the state of Haryana. 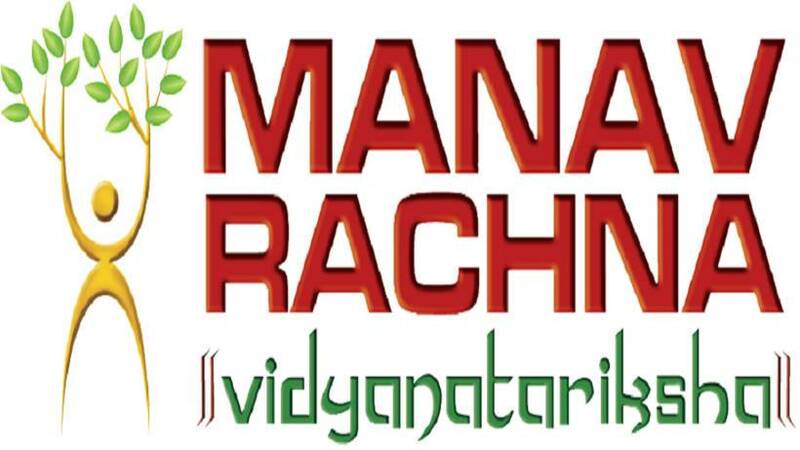 Conducting Body: Every year the MRNAT is conducted by Manav Rachna University (MRU), located at Faridabad, India. Level: MRNAT is a National Level Entrance Test which is conducted once every year. Exam Date: MRNAT 2019 will be conducted on 20th April 2019 through online i.e. Computer-based Test (CBT). Exam Centre: Students should note that for all Programmes, the Test would be conducted at Manav Rachna Campus & other locations, date and time of the Test will be intimated through registered email Id and by SMS to the registered mobile number. Courses Offered: Through MRNAT, students can seek admission for undergraduate and postgraduate courses in various fields such as Engineering, Arts, Science, Commerce and Law at 2 different institutes, MRIIRS (Manav Rachna International Institute of Research and Studies) and MRU (Manav Rachna University). Through MRNAT, students can seek admission for undergraduate and postgraduate courses in various fields such as Engineering, Arts, Science, Commerce and Law at 2 different institutes, MRIIRS (Manav Rachna International Institute of Research and Studies) and MRU (Manav Rachna University). Courses offered at MRIIRS are B.Tech, B.Tech Lateral, M.tech, B.Sc. Data Science, B.Sc. Interior Design, BCA, MCA, MCA(L), BPT, MPT, B.Sc/ M.Sc- Nutrition & Dietetics, BBA (General/ Banking & Financial Markets/ Global- International Business), B.Com (Hons. ), M.Com,B.Sc(IT), B.A/ B.Sc (Hons.) Economics, BA/MA Journalism & Mass Communication, B.Sc./ M.Sc. Applied Geology, BA(Hons. )/ MA-English, Bachelor of Visual Arts, PG Diploma in Advertising & Public Relations, B.Sc.- Hospitality & Hotel Administration, B.A./ B.Sc (Hons. )-Applied Psychology, M.A./ M.Sc-Applied Psychology, Master of Social Work, B.A/B.Sc in Liberal Arts, M.A./ M.Sc. Economics, M.Sc Biotechnology. Courses, that doesn't come under MRIIS are Bachelor of Architecture and MBA. Registration: Application Form is available on the official website of Manav Rachna University (MRU) from 18th October 2018 to 3rd April 2019. Admit Card: The Admit Card will be released online for all the aspirants on 10th April 2019 (Tentative). Examination: MRNAT 2019 will be conducted Online i.e. Computer-based Test (CBT) on 20th April 2019 & 21st April 2019. Results: Results will be declared on the official website for all category candidates based on qualified marks on 30th April 2019 (Tentative). Counseling: Candidates who have cleared the MRNAT 2019 will be called for the counseling process after the release of the result, dates of which will be intimidated later. Education for UG: For students seeking admission for UG courses, passing 10+2 or equivalent, from a recognized university/board, in the relevant stream applied, with a minimum of 50% marks for general category and there will be 10% relaxation for Kashmiri Migrants. Education for PG: Students seeking admission for PG courses must have passed a Bachelor's Degree or equivalent, from a recognized university, in the relevant stream applied, with a minimum of 50% marks for general category and there will be 10% relaxation for Kashmiri Migrants. Age Limit: There is no upper age limit to apply for MRNAT 2019. Registration Date: Application Form is available on the official website of Manav Rachna University (MRU) from 18th October 2018 and the last date to submit the Application Form will be on 3rd April 2019 (Tentative). Registration Fee: The candidates have to pay the registration fee of INR 1200+GST while filling the Application Form for all candidates. Payment Mode: Candidates can pay the Application Fee online through Net Banking/ Debit Card/ Credit Card. Mode: MRNAT 2019 will be conducted Online i.e. Computer-based Test (CBT) on 20th April 2019 & 21st April 2019. No. of Questions & Topics: MRNAT 2019 will consist a total of 75 questions from syllabus covered in the qualifying exam (eg. XII or Graduation as the case may be) and/or aptitude for the program applied for. Marking Scheme: One mark will be awarded for every correct answer and no negative marking. Availability: MRNAT 2019 Admit Card will be available on the official website from 10th April 2019. Download: Candidates should download the Hall-Tickets from the University website: manavrachna.edu.in. Id Proof: Candidate must carry government ID proof such as Voter Id, PAN Card, Aadhar Card, Driving License, Passport along with the Admit Card. Counseling: Candidates who clear the MRNAT 2019 will be called for the counseling process after the results are announced. The date of the counseling will be intimidated to students through email. It is mandatory for the candidates to appear in person for physical counseling for admission before the Admission Committee. No relaxation of any kind is permissible in this regard. Pre-final Year Mark sheets for PG courses. All other documents must be submitted during orientation after the start of classes or within 03 (three) days from the date of admission, then appear before the Document Verification Committee for verification of documents. Admission committee shall allot the seats to the Candidates in order of merit, subject to its availability and the candidates shall be required to deposit fee on the spot either through Demand Draft, Credit / Debit Card or in Cash. The seat shall be deemed to be allotted only on the deposition of the fee. If a candidate fails to deposit the fee on the spot, the right to admission shall be forfeited and the seat shall be offered to the candidate next in the merit list. a) Chemistry b) Biotechnology c) Computer science d) Mathematics or Biology, from a recognised Board. MRNAT examination has taken as entrance examination.